Well, I'd have to say my 2nd attempt at airbrushing has been very very successful. I don't even know if I have enough to post here, besides saying WOW!I painted all of this, Prime and base coat in one night. I can't even say how long it would have taken me before with a brush. The good things besides being faster, is I use way less paint, and I don't have to use aerosol cans to prime or varnish anymore. So, I can do it inside. 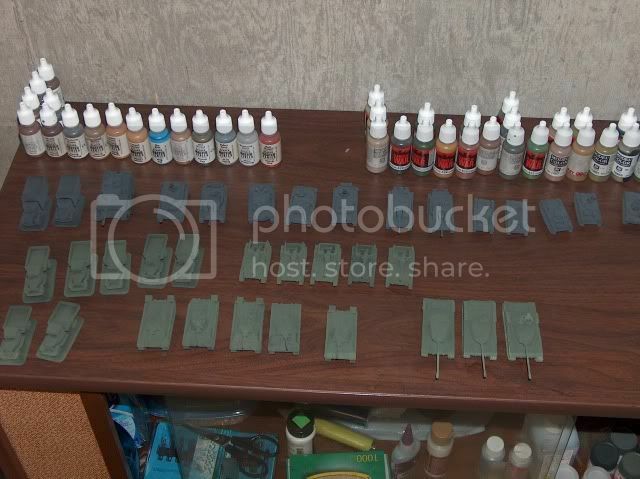 I even tried to spray a base coat on some IS-2's without using a primer. It seem to work pretty good, but I guess we'll have to wait for the finished product to see if it really works. Then we'll see how Varnishing works through the airbrush. OH, and the secret to the success of my airbrushing...just like the wash, something you would have never expected...Windex. Using windex to thin the paint. I use it at about a 2:1 ratio. 2 parts paint, 1 part windex. It still might be a bit thick. but no where near as thick as an aerosol can. I tried at 1:1 but it was way too watery. I've read so many people having problems with clogged nozzles and such, and I've had zero problems using the windex. Next i'm going to try airbrushing infantry. 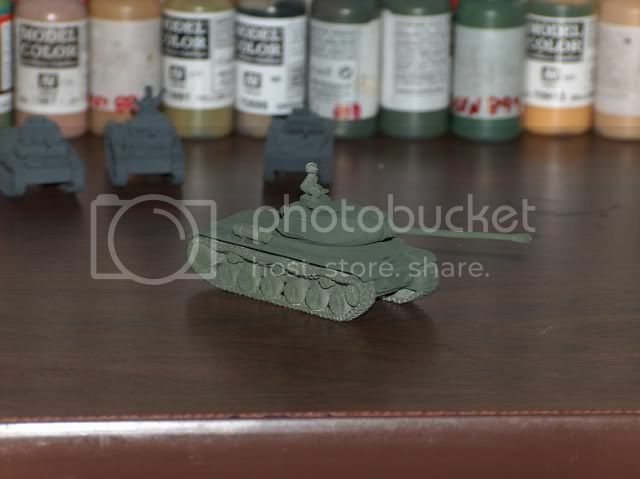 If it can speed up my infantry painting, I could quickly run out of things to paint. which is a good problem to have.